Our small building was built in 1829. 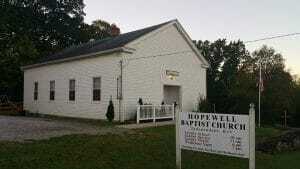 In the spring of 2018 we are hoping and praying God will allow us to totally remodeled the inside of the building. Our plans are to get the old plaster removed,have the building totally rewired, insulate the walls and ceiling, hang new drywall, finish and paint.